Scar removal can be a varied process. Although many scars can’t be entirely removed, collagen injections, light and laser therapy, dermabrasion, and chemical peels can be used to lighten scars and remove minor ones. Deeper scars typically require surgery that includes skin grafts, tissue substitutes, and tissue expanders. Have a linear scar from the other guy’s hair surgery? We can help with that as well. 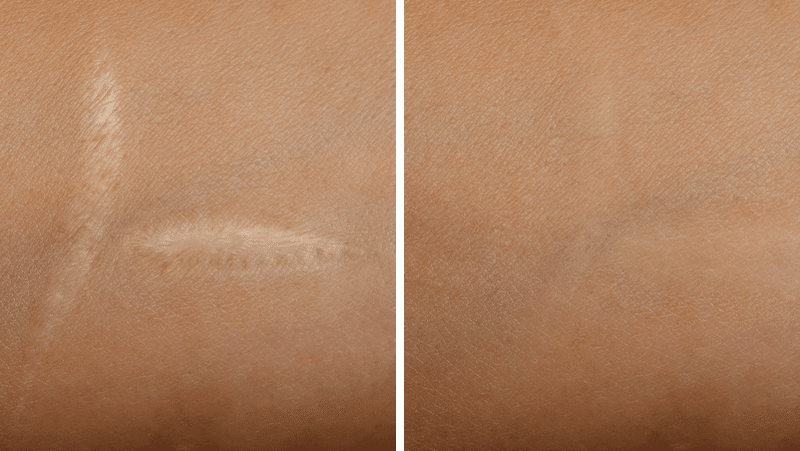 All scars are different, so we ask that you schedule a free consultation as soon as possible to discuss the type of scarring and what we can do to help.